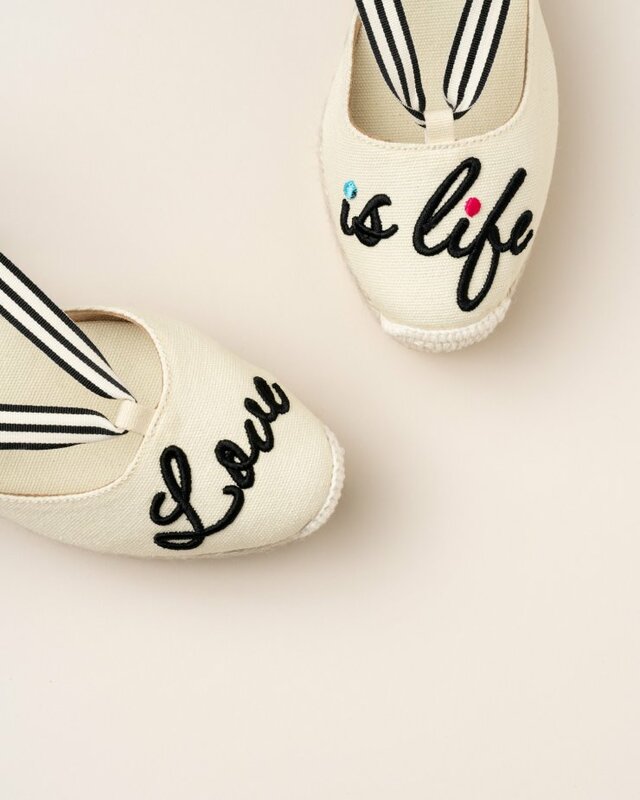 Black tweed tie-up espadrilles. 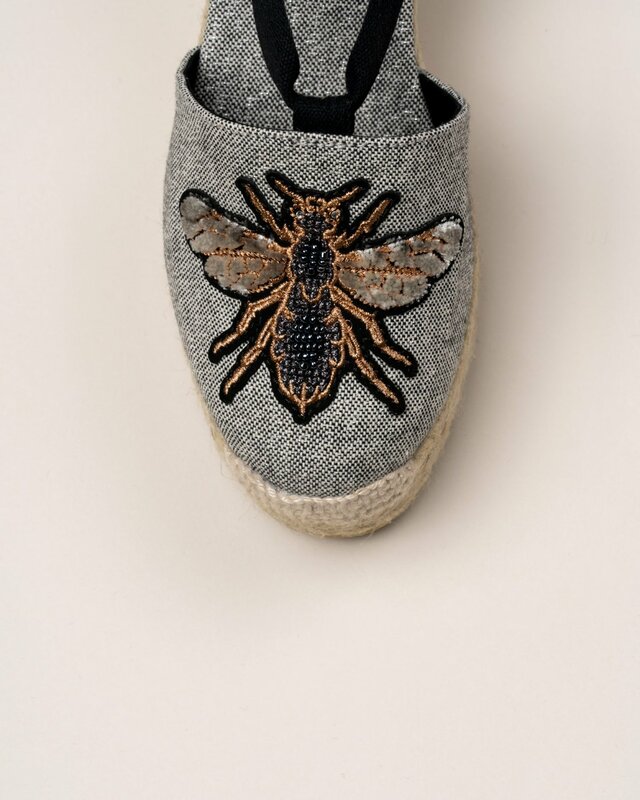 Details with a bumblebee embroidery at the front. Black tie-up knotted at the ankle. Medium jute wedge.